We say hello to beautiful May - finally spring is here! If you wonder why todays picture shows a fire, then you probably haven't heard of Walpurgis Night, a feast we are celebrating today in Sweden. 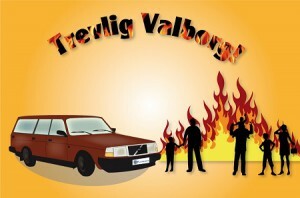 "Valborg", as it is called in Swedish, has to do with the tradition of celebrating the arrival of spring. The forms of celebration vary in different parts of the country and between different cities. Most celebrations consists the Valborg bonfires and choirs that sing songs about the arrival of spring time. In Gothenburg the carnival parade, The Cortège, is held by the students at Chalmers University of Technology, as an important part of the celebration. 76.310 visitors chose to celebrate Easter at Bilsport Performance & Custom Motor Show (Elmia fair) in Jönköping. 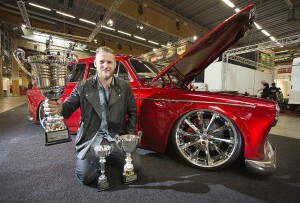 One of them was our customer Anders Franzén. 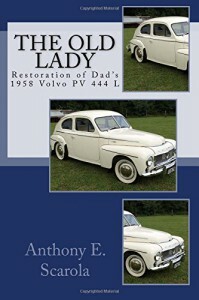 But he was not there just to visit, he was presenting his unique Volvo Amazon. It took Anders 4 years and appr 7000 working hours to build the Amazon to the car he wanted to have. How would an Amazon look like if it was produced today? This was one of the questions building the base of the project. The result of all his efforts in the garage has been recognized and rewarded with the People’s Choice Performance Award 2015, Best Paint 2015 and JF Launier’s Special Award. In November 2015 Anders will participate in Essen Motor Show fair in Germany, following an invitation of the fair organizers. This link shows a movie of the car at Elmia fair "Andes Franzen's beautiful Volvo Amazon"
If they had known in advance what error you can do and what traps there had been happily spared a lot of extra work. 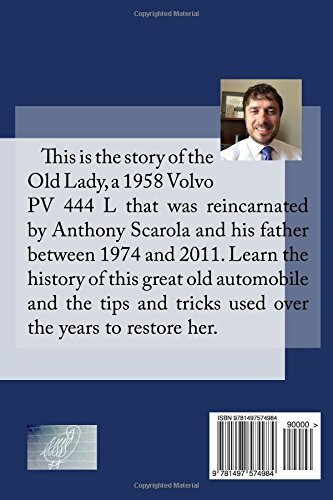 Our client Anthony Scarola, who has completed the renovation of a Volvo PV 444, which his father started in 1974, has written a book about it. 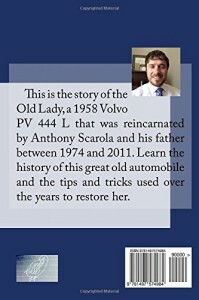 You can read the story of "The Old Lady" (154 pages) and get good tips and tricks when it comes to a complete renovation. This book can be ordered from VP.